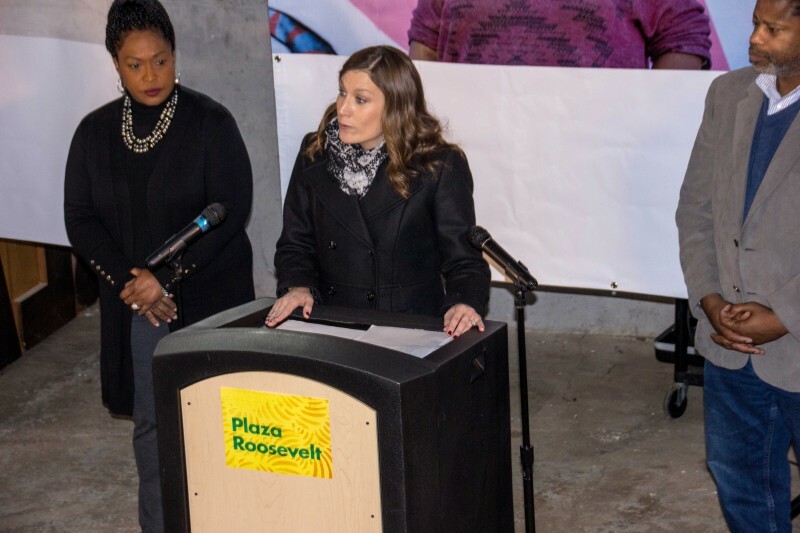 At a news conference Monday, November 21, eight partners announced an agreement to begin site planning work on the proposed Plaza Roosevelt development - a unique mix of education, healthcare, affordable housing, and more. The project began in 2013 when Habitat for Humanity of Kent County (Habitat Kent) began acquiring what would eventually add up to more than 5 acres of land along Grandville Avenue with the vision that it would be a catalyst for neighborhood-driven revitalization. Between 2013 and 2015, Habitat Kent initiated a series of neighborhood design charrettes, resident focus groups, and door-to-door surveys within the neighborhood in order to incorporate neighborhood input into the vision for the development. Neighborhood residents and stakeholders shared their desire for greater access to a variety of housing and businesses and a need for more programming for youth living in the Roosevelt Park neighborhood. As a result of the energy and excitement generated by the neighborhood engagement process, other local organizations expressed interest in becoming part of a collaborative development of the site to provide the much-needed and wanted programming. Roosevelt Park is a neighborhood full of resources – from the skill and expertise of individual residents – to the institutions that have focused on areas like education and housing. The Plaza Roosevelt development seeks to build upon the existing strengths within the neighborhood by elevating resident ideas and leadership, create space for the community to gather, and increase opportunities for resident ownership. At a news conference Monday, November 21, eight partners announced an agreement to begin site planning work on the proposed Plaza Roosevelt development - a unique mix of education, healthcare, affordable housing and more. Plaza Roosevelt is proposed for the two city blocks on the east side of Grandville Avenue between Graham on the north and Franklin on the south. Rumsey Street separates the two blocks. 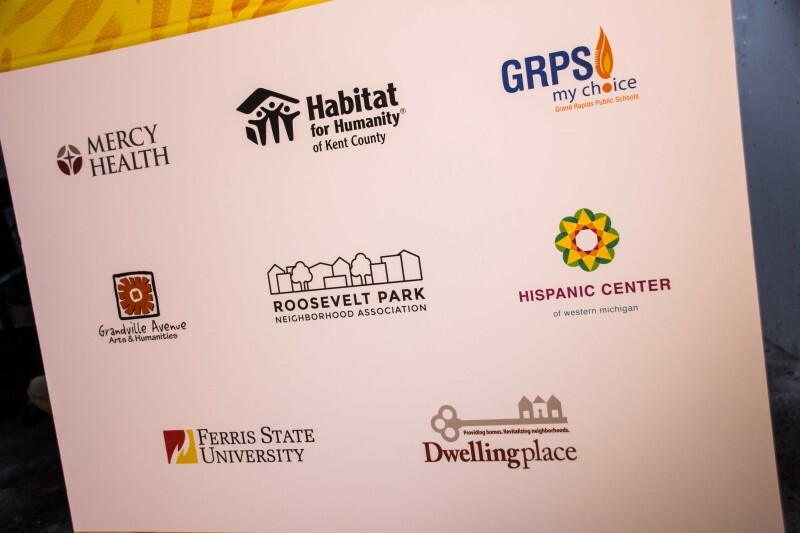 The partners include Habitat for Humanity of Kent County, Mercy Health Saint Mary’s, Grand Rapids Public Schools, Dwelling Place, Grandville Avenue Arts & Humanities, Ferris State University, Hispanic Center of Western Michigan and Roosevelt Park Neighborhood Association. The site planning process is based on values of equitable development (development that benefits people in the neighborhood and reflects the residents’ feelings about a healthy neighborhood) and community engagement (engaging residents in as many aspects of project planning and implementation as possible and connecting residents’ interests with actions they can take to advance their goals). Roosevelt Park neighborhood residents and stakeholders will be invited and encouraged to continue to be involved in the site planning and design processes. Additionally, a group of 10-12 residents will serve on a Resident Partner Committee to participate in planning for Plaza Roosevelt and ensure that the resident voice is integrated into all levels of the project, including key decision making. Affordable homeownership and rental housing opportunities. Increased health services through Mercy Health Saint Mary’s Clinica Santa Maria. Expanded educational opportunities with up to four new Great Start Readiness Program preschool classes and the construction of a new high school facility to accommodate the expansion of Southwest Community Campus (SWCC), a Spanish/English dual immersion theme school, from a PK-8 to PK-12. Grand Rapids Public Schools has dedicated $20 million of the 2015 voter-approved bond for these projects. Shared community spaces and out of school time programming for teens. 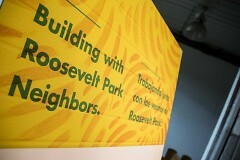 "Dwelling Place is honored to participate as a partner in this most extraordinary neighborhood collaborative. Connecting educational, health care, and housing initiatives on behalf of residents who are fully engaged will truly transform the Roosevelt Park Neighborhood."